Now, more than ever, consumers expect seamless shopping, cross-channel order fulfillment and customer service. So how do you wow a customer that already has soaring expectations? Innovative retailers are differentiating themselves by transforming the in-store experience. This requires a modern IT infrastructure with flawless inventory visibility across all internal and external sources of supply, and evolving store operations. 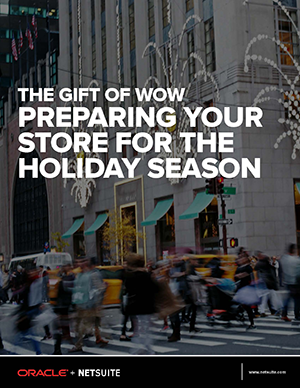 Here are three steps to prepare your business for this season’s holiday shopper, and beyond.